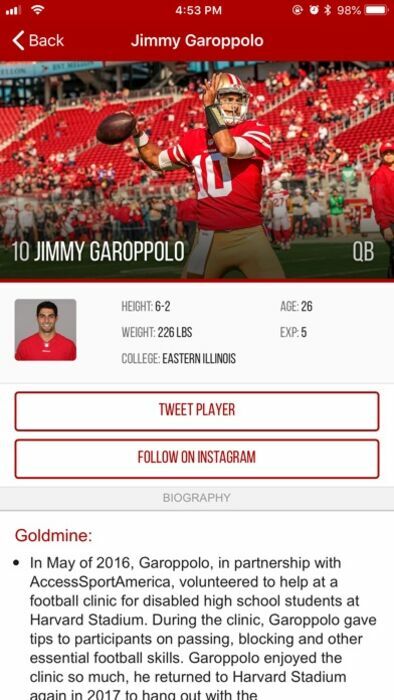 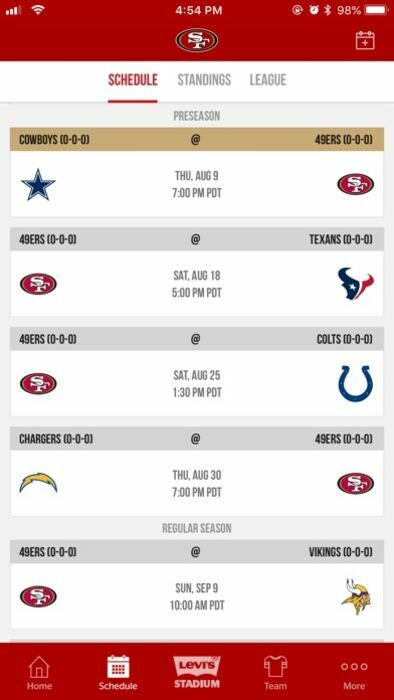 The 49ers App was designed to enhance the fan experience with access to exclusive content, team updates, and essential gameday information. 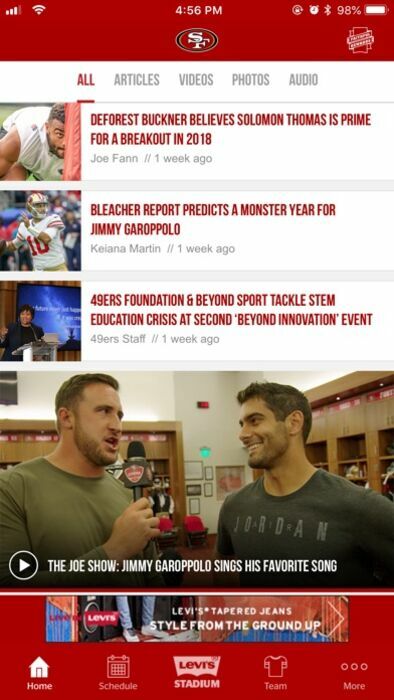 Follow breaking news and watch live programming wherever you are! 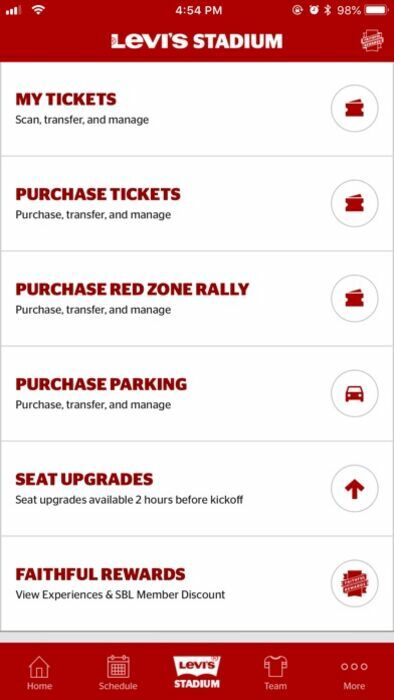 Now, the fastest way to access tickets and parking is now available in the team app. 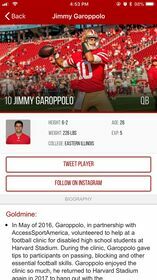 Plus view behind-the-scenes video content and stunning photography available in the palm of your hand.